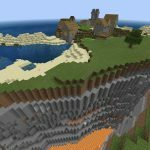 Check out this ravine seed for all Minecraft players running Bedrock Edition. First off, this seed only works on versions 1.9 or higher. It may work on earlier versions, too, but we tested it on version 1.9. Enter the seed ‘exitnine’ (or -2121952560). 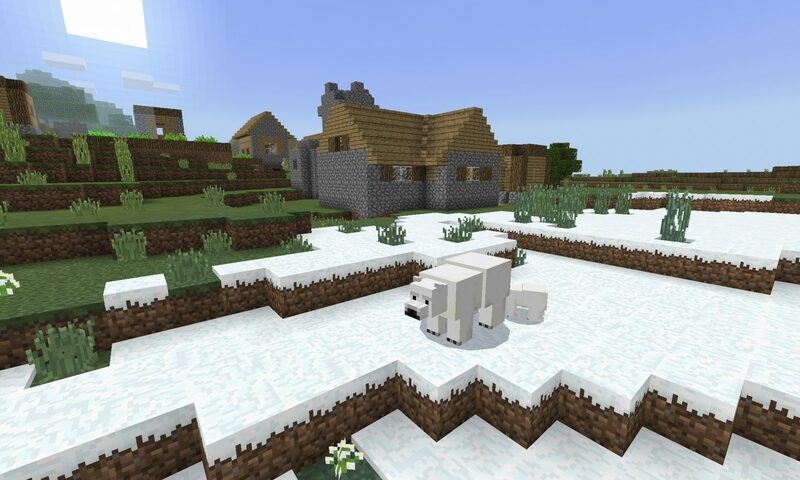 The first thing that will render in front of you is a village which is on a snow-covered shore. The village does have a blacksmith which has a diamond, some food and some iron armor, too. Exploring beyond the village you will find the ravine. At night it glows from a lava pool that has formed at it’s base. Inside, the ravine reveals the usual ores: exposed coal and iron. 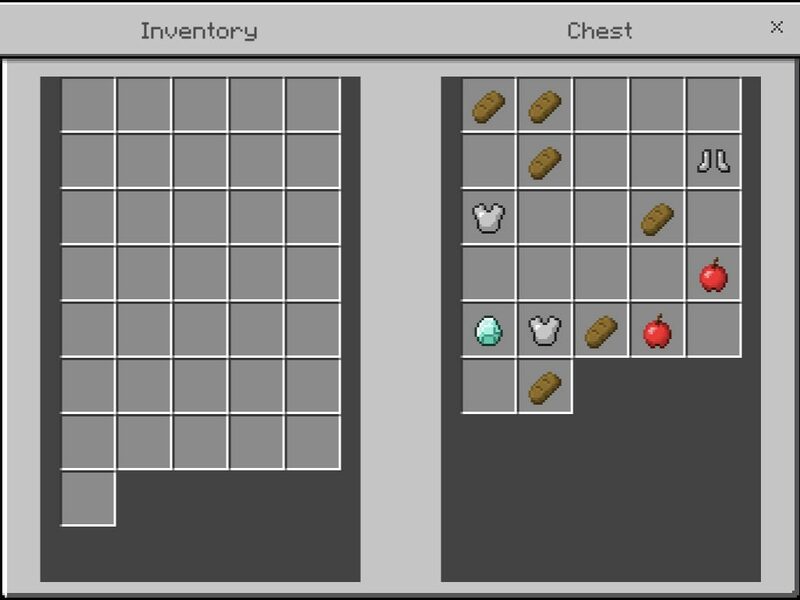 The blacksmith has a few good items in his chest. 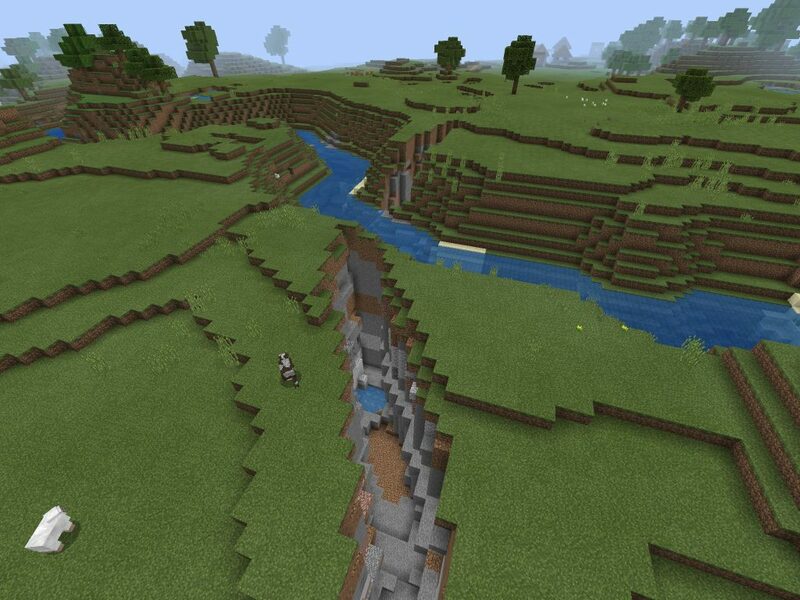 A ravine in relation to the blacksmith village at spawn.